Bob’s entrepreneurial nature has lead to success on several business fronts. During the last 25 years, he has started and operated four different companies. One of his companies, Key Risk Management Services, Inc. was recognized by INC. Magazine as one of the fastest growing, privately held companies in the United States. Additionally, Bob was awarded the Ernst & Young Entrepreneur of the Year award in North Carolina. In addition to starting and managing companies, Bob became a Certified Facilitator for Steven Covey’s highly successful “7 Habits of Highly Effective People”, and has presented the program to hundreds of students, leaders and business owners. Recently, Bob has been awarded the C.B.E.C. designation (Certified Business Exit Consultant) after completing extensive study, classroom work, and practical application requirements. The attainment of this designation, combined with Bob’s experience and expertise allows him to be particularly helpful to the “Baby Boomer Business Owners” who are beginning to address transition issues in their businesses and professional careers. Having first-hand experience in starting, developing, buying and selling companies, Bob has attained expertise that is uniquely suited to assisting clients in valuing and selling their businesses. In addition, the negotiating and mediating skills he has developed through the “7 Habits of Highly Effective People” program enables Bob to assist buyers and sellers in achieving win-win deals. He is uniquely suited to assist buyers in accomplishing their dream of owning a business, and to assist sellers as they sell their business in order to pursue retirement or other activities. Bob is a graduate of The Kenan Flagler School of Business at The University of North Carolina at Chapel Hill. He is active in numerous community and civic affairs. Bob Hendrix brings decades of management experience, including 35 years with V.F Corporation where he progressed from line level management up to Plant Manager, Division Manager and Vice President of Manufacturing/Operations at Red Cap Industries, a subsidiary of V.F. Bob brings a wealth of business knowledge ranging from product development, manufacturing, product sourcing, supply chain, and distribution. In his varied assignments he learned the ability to identify, evaluate, recommend and initiate improvement and change within an organization. From familiarity with the day-to-day operations, through strategic planning, he has honed the skills needed to perform evaluations and deliver superior consulting to clients looking to buy, sell, or improve their businesses. In addition to attending Clemson University, Bob has continued his business education through Executive Programs at the Colgate Darden Graduate School at the University of Virginia, and at the Kenan Flagler Graduate School at UNC. Dale joins Strategic Advisors as a Partner with primary responsibility for Research and Analysis. Initially, Dale will assist in responding to the increasing demand for our signature service for small and mid-size businesses, BUSINESS VALUATION BENCHMARK. Dale’s other primary responsibilities are to identify and qualify the ever-growing number of private equity groups who wish to acquire the mid-size businesses represented by Strategic Advisors. Dale recently completed 35 years of service with a large, global networking firm. During this time, he worked with a great number of employers and industry groups, and gained much knowledge that will serve him well as he embarks on his second career. He holds a BSBA degree from East Carolina University, and continues to increase his knowledge with industry specific educational opportunities. Dale is a lifelong resident of Greensboro and participates in numerous civic, community, and church activities. 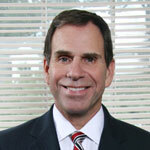 John brings more than 30 years of public accounting and management experience to Strategic Advisors. He provided high value financial planning, tax planning, and business valuation services to high net worth individuals, Fortune 500 executives and closely-held business owners. Throughout his career he has worked collaboratively with business owners to help them meet the challenges they face and achieve their business and personal goals. Prior positions include serving as a controller for a pharmaceutical manufacturer. In his younger days, John served his country in the United States Marine Corps as a member of the Presidential Helicopter Squadron during the Reagan administration. Due to his exceptional commitment to service and uncompromising integrity, he rose to the position of Marine One Crew Chief, a position held by only two Marines each year. He was directly responsible for the helicopter that transported President Reagan and flew with the President on more than 75 flights, receiving numerous awards and commendations for his superior service. John completed over 20 years of service in the Marine Corps and Army National Guard. He brings the same commitment and integrity to Strategic Advisors. John received a Bachelor of Science in Accounting degree from East Carolina University. He is a Certified Public Accountant and a member of the American Institute of Certified Public Accountants Forensic and Valuation Services section. He holds both the Accredited in Business Valuation-ABV, Certified in Financial Forensics-CFF and Chartered Global Management Accountant-CGMA designations.